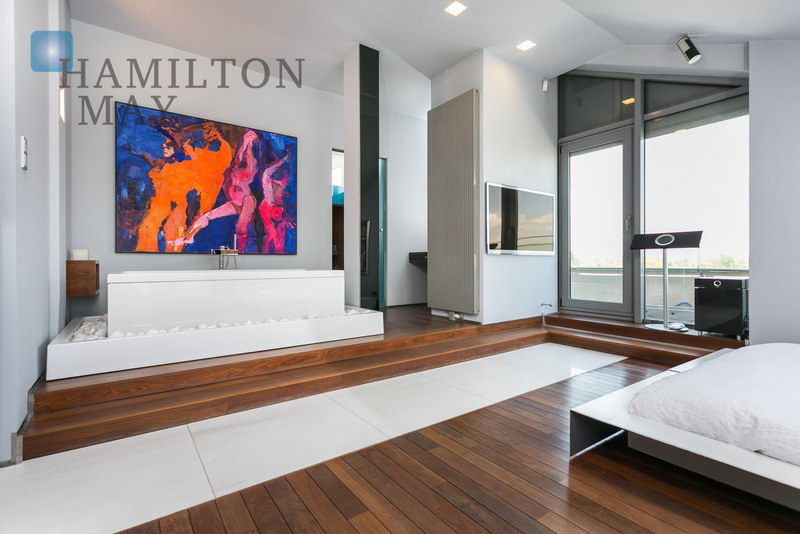 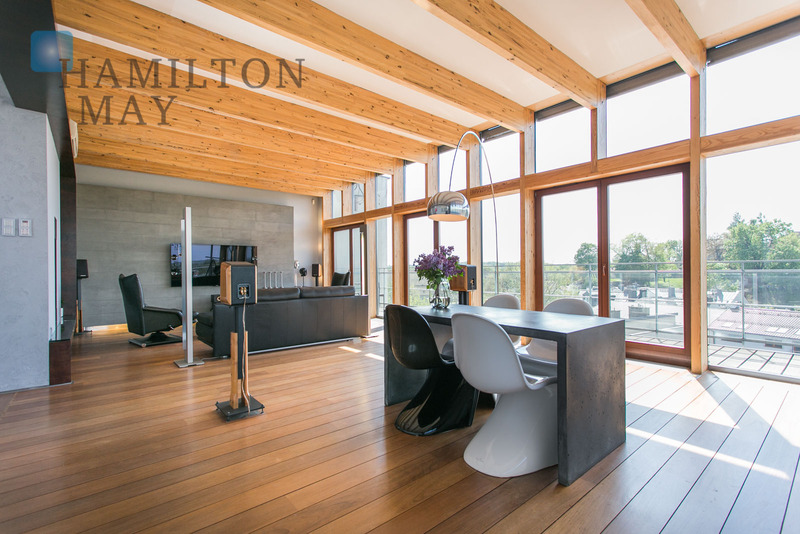 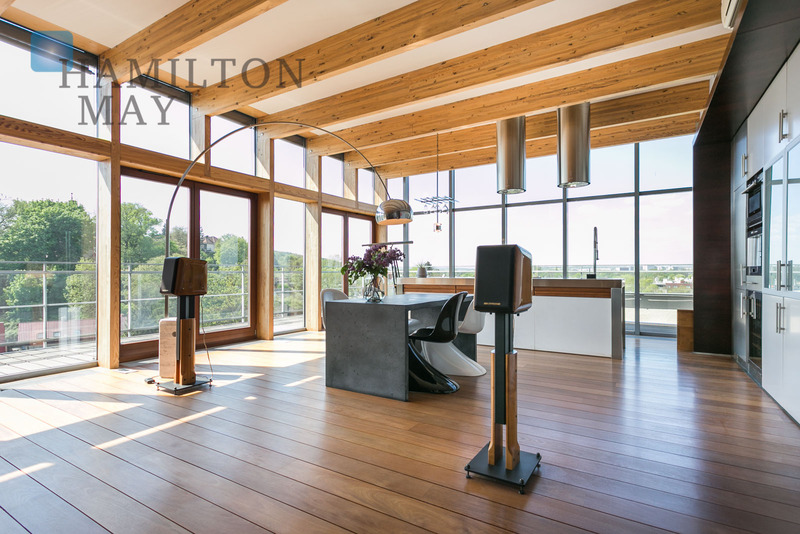 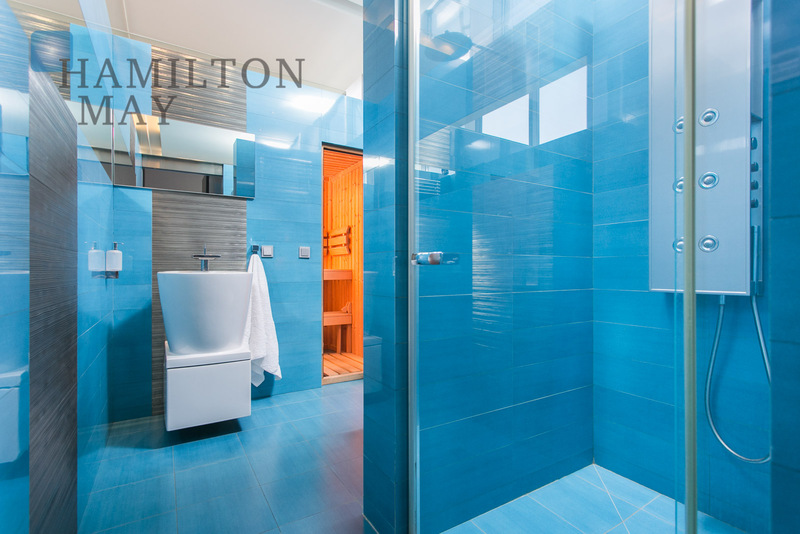 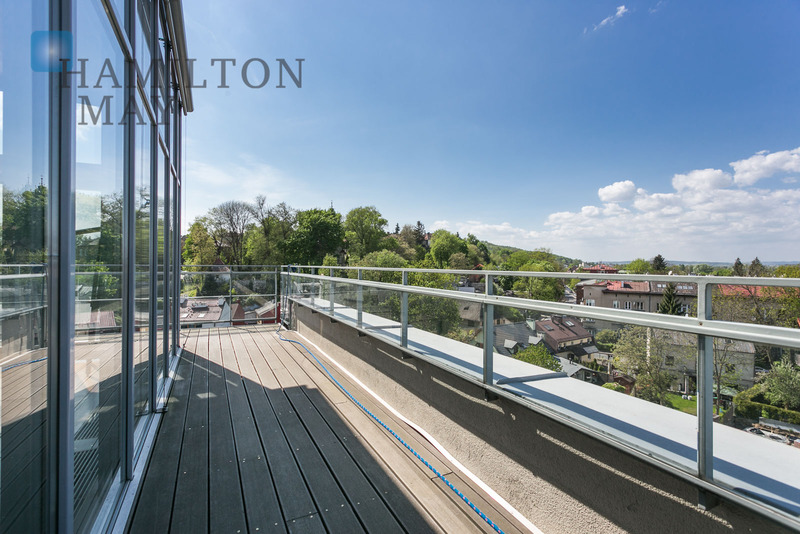 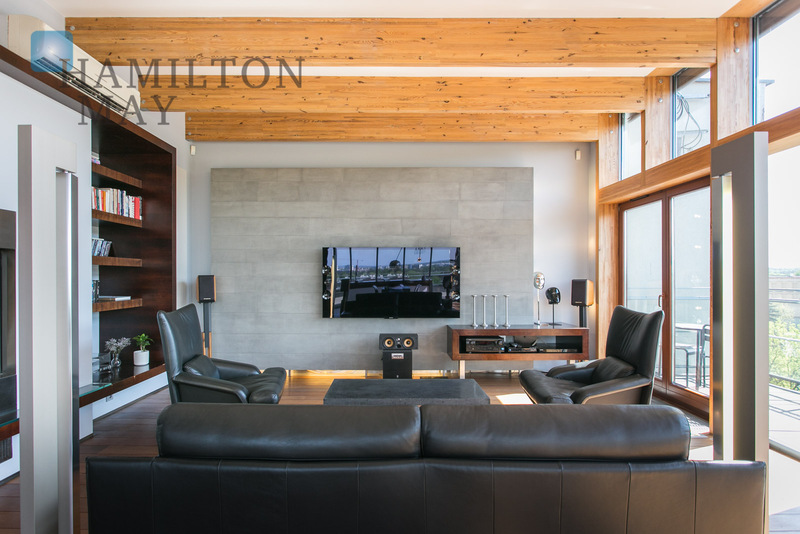 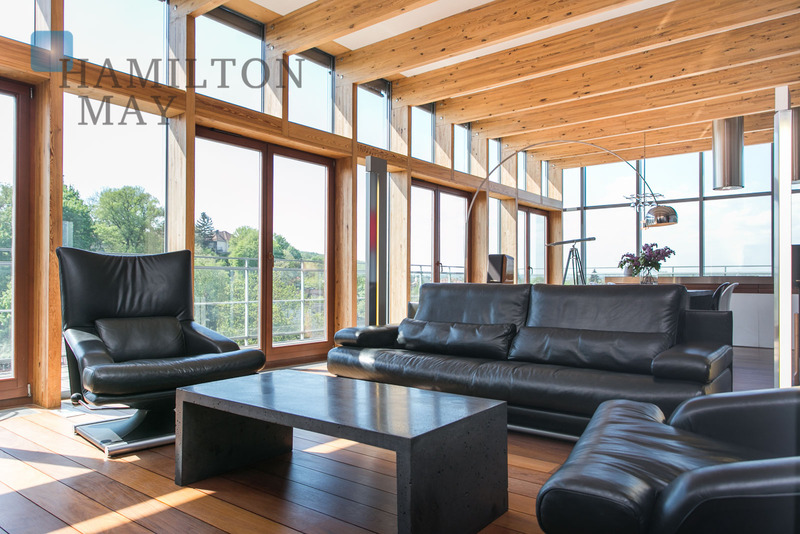 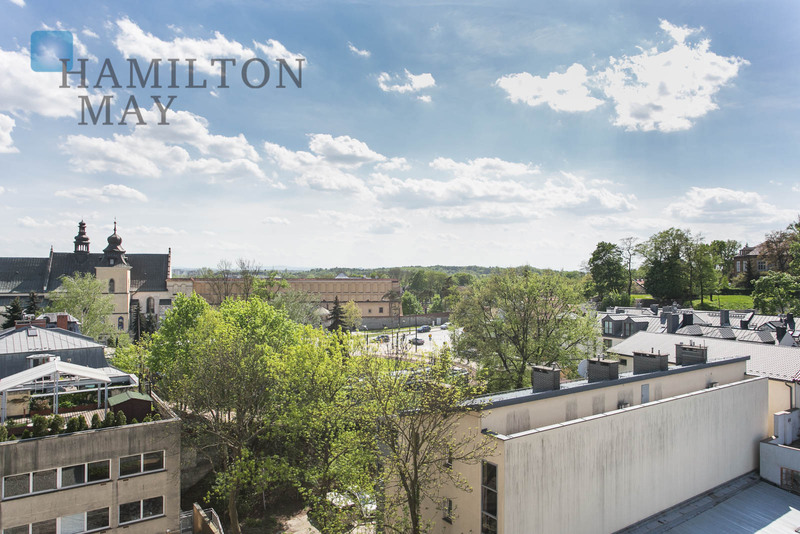 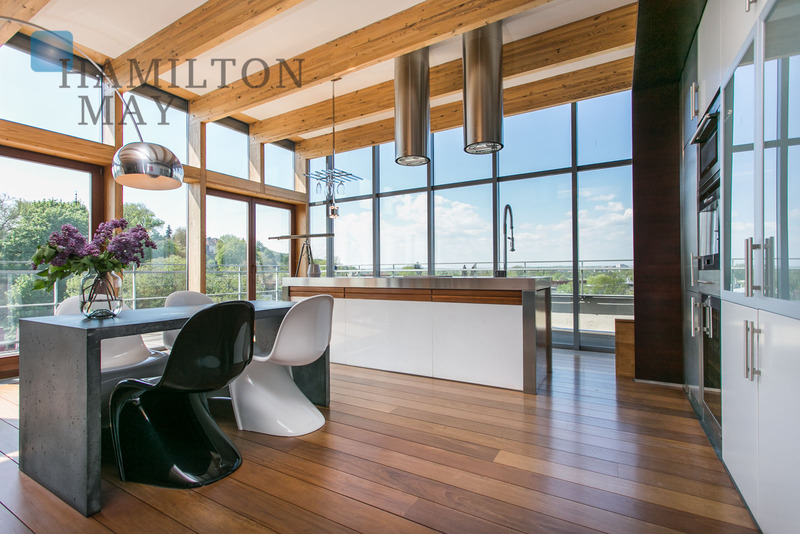 Hamilton May is pleased to present a unique, exclusive apartment with a spacious terrace of approx. 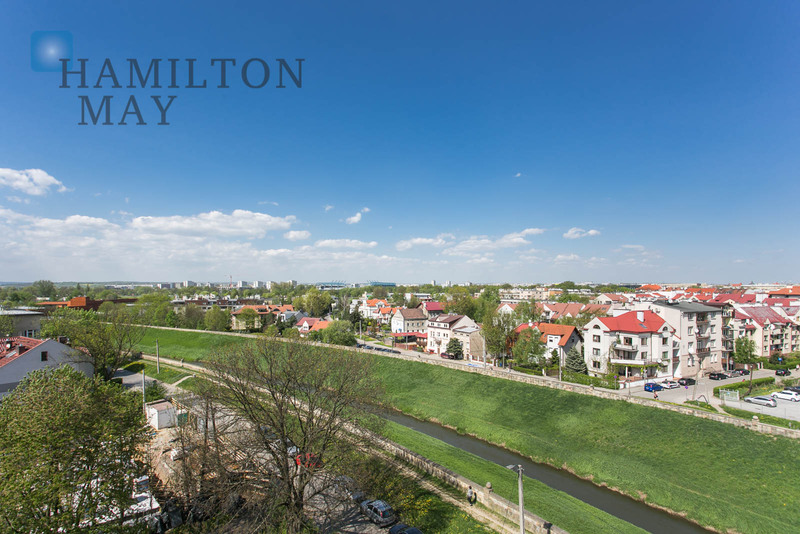 50m2 and a double garage, available for sale in a prestigious, discreet investment in the immediate vicinity of Błonia. 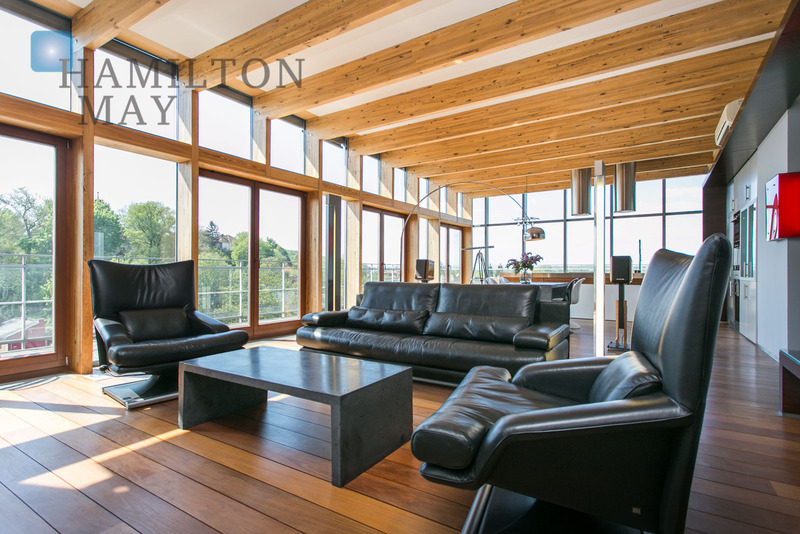 The penthouse has 139.57m2 of usable area and consists of a spacious living room with a kitchen and dining area, two bedrooms, two bathrooms, dressing room, sauna and utility room. 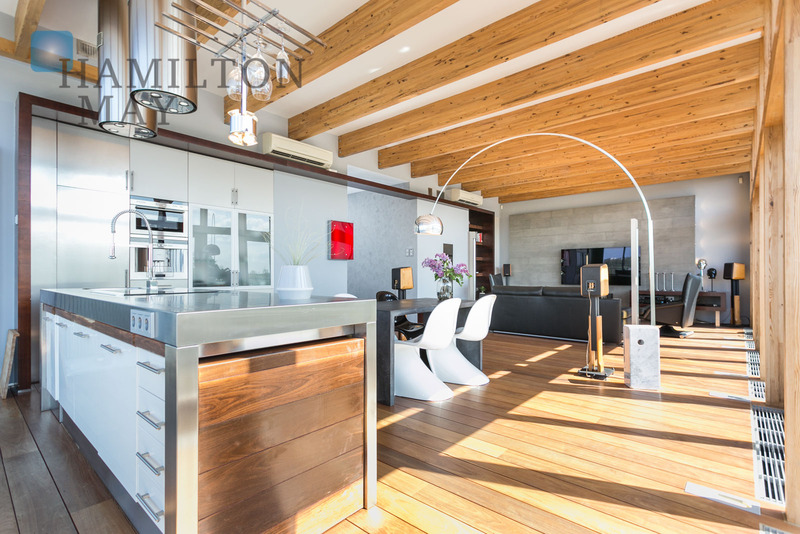 In addition, the apartment has a separate, spacious garage for two cars (approx. 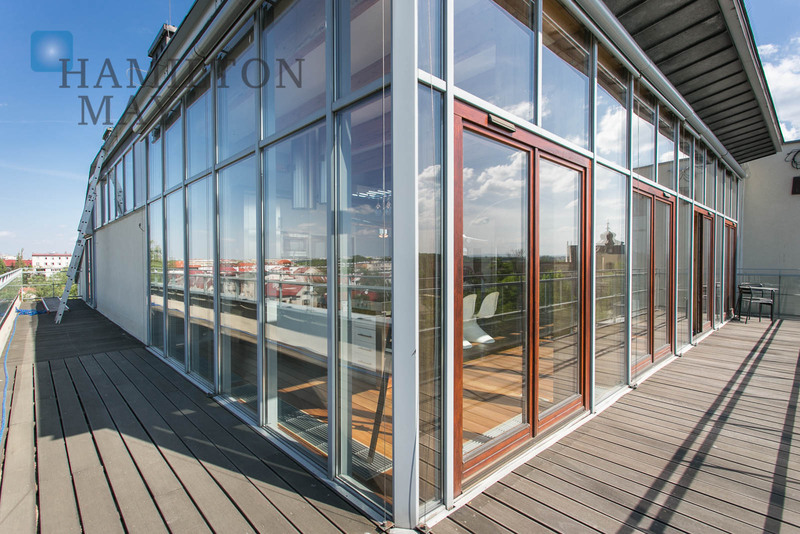 36m2) located on the ground floor of the building. 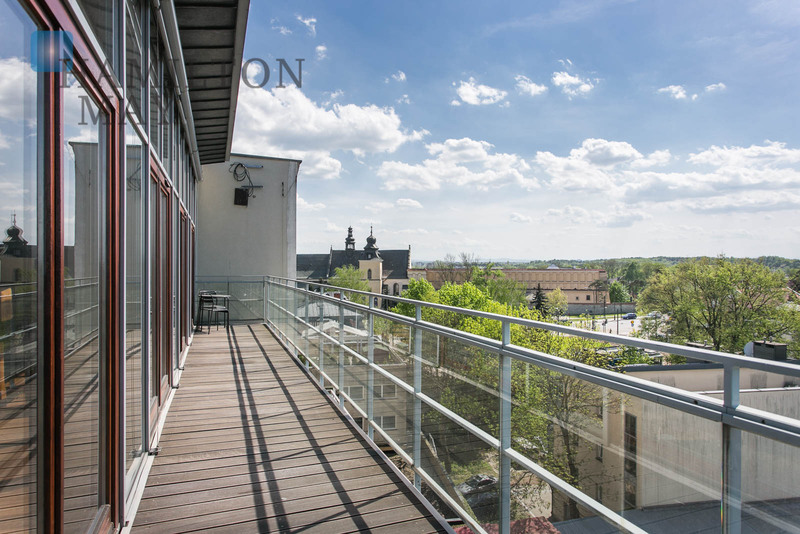 Apart from its unique location, the apartment also offers a spacious terrace which runs along the two edges of the building, as well as panoramic windows offering a view of the Wawel Hill, Saint Bronisława Hill, Kościuszko Mound and Błonia. 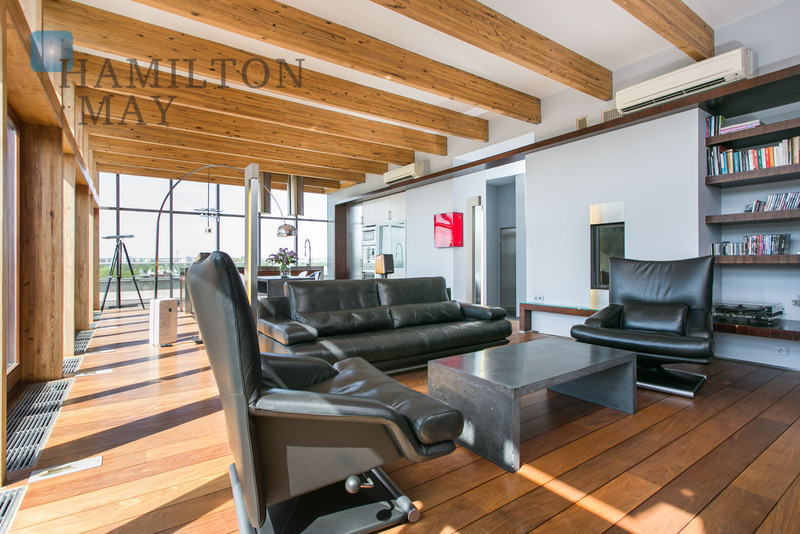 The penthouse is fully furnished and equipped with the highest quality household appliances (Liebher wine cooler and refrigerator, coffee machine and Simens oven + A/ V equipment: Loeve, Sonus Faber, Bose, Sony). 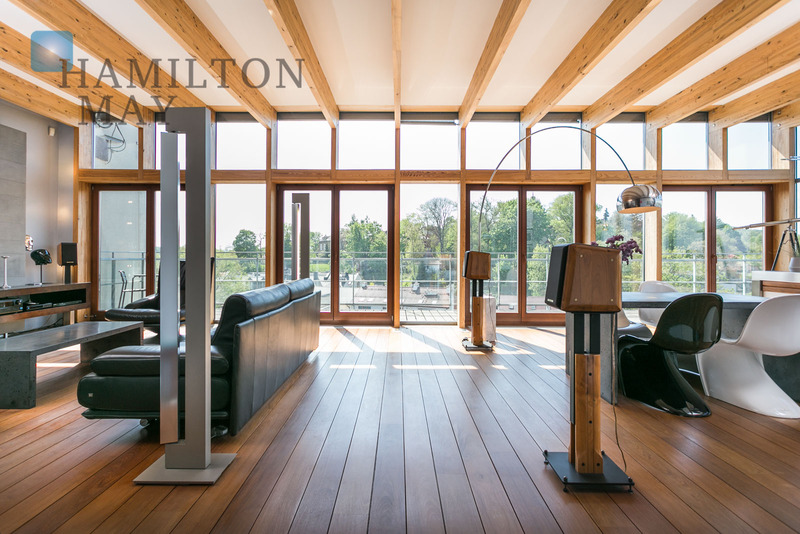 The apartment has also been fitted with lighting by Ingo Maurer, Artemis, Flos Arco, Kartell, and furniture by Rolf Benz, Vitra. 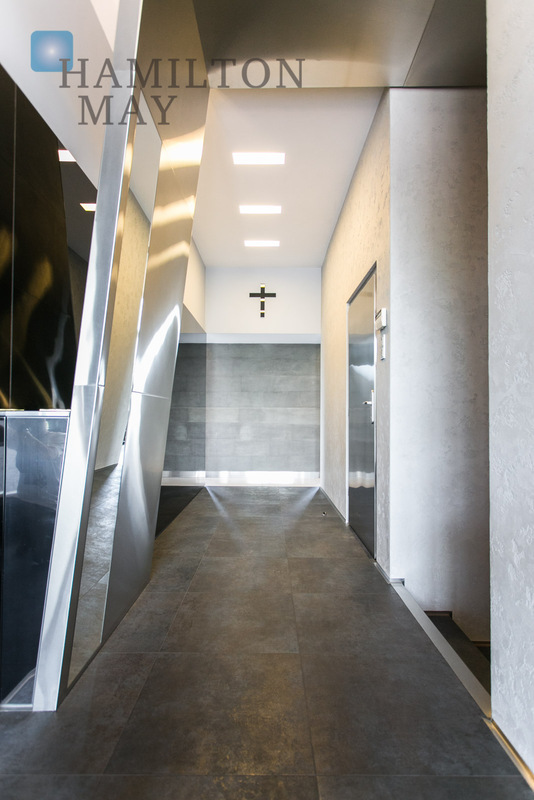 The property was finished with the highest quality materials, such as natural stone, white marble, exotic wood, glass, concrete and stainless steel. 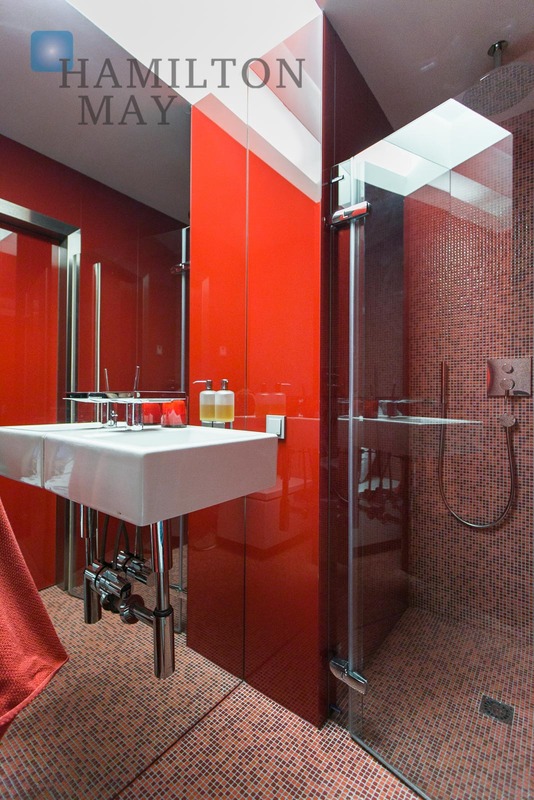 Both bathrooms were finished with Philipe Stark fittings. 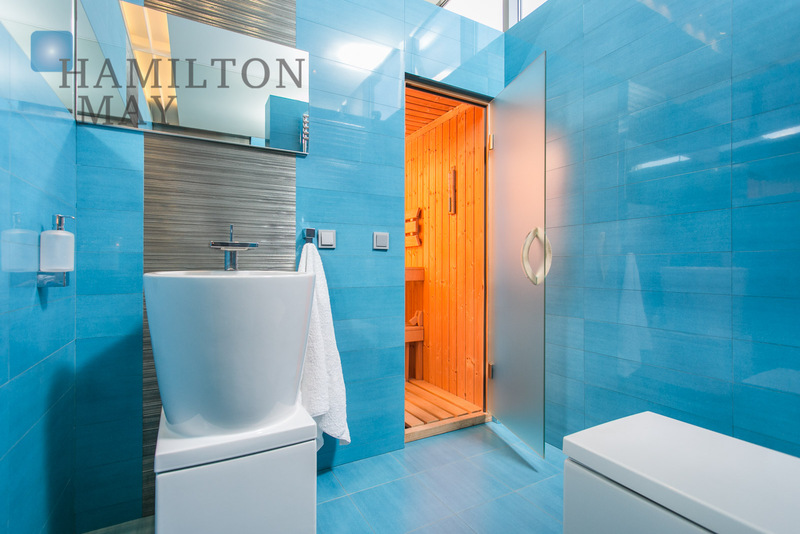 The bedroom comes with a unique space with a flow-through, backlit, freestanding bathtub (Philipe Stark). 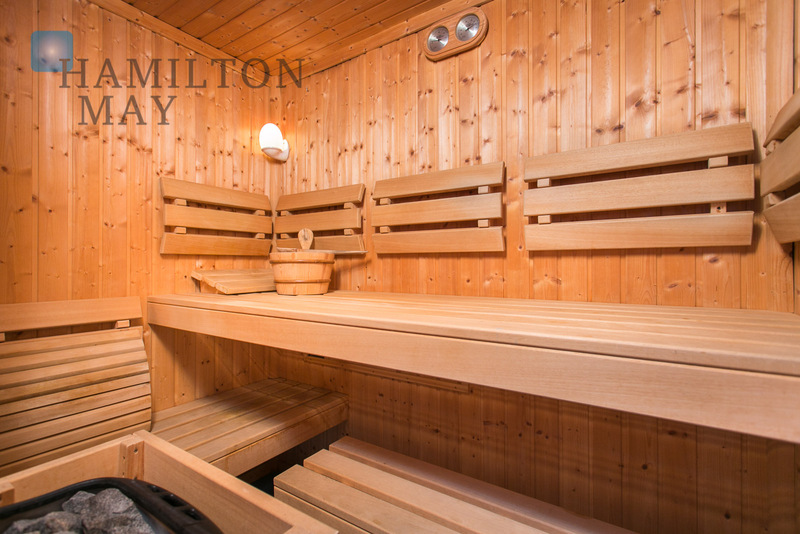 A dry sauna and a minimalist fireplace offer additional convenience. 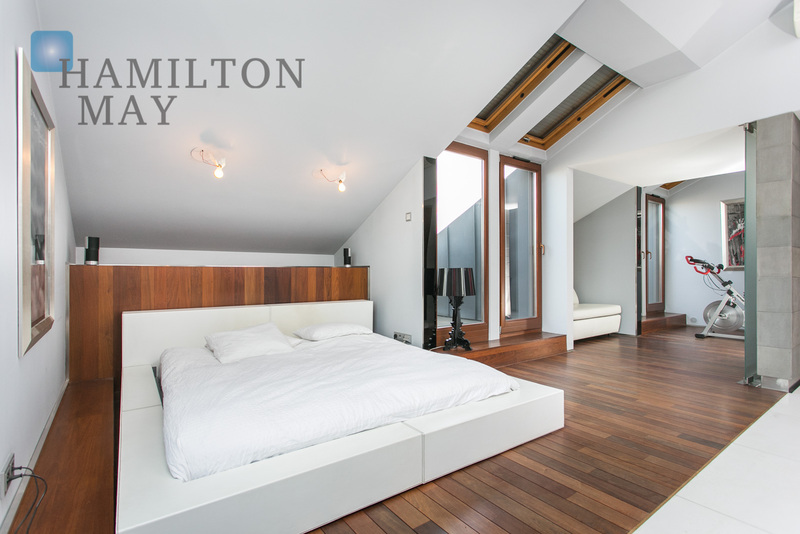 Finally, the apartment is equipped with air conditioning and additional underfloor heating. 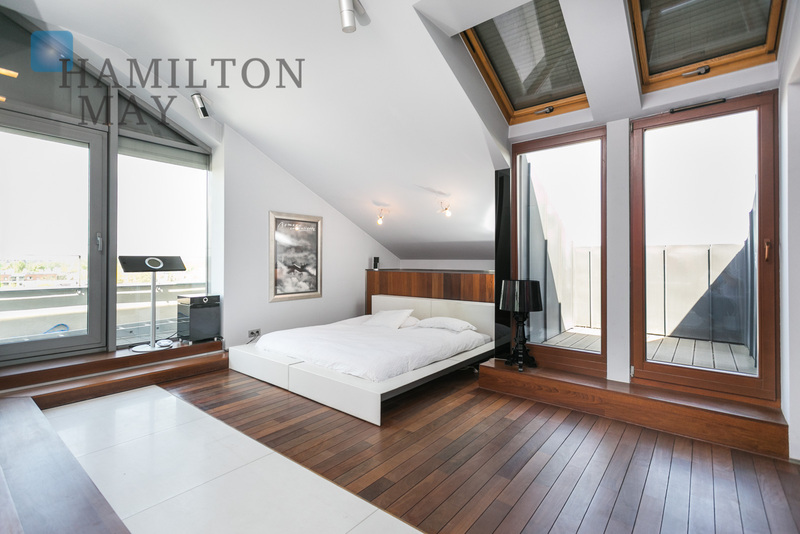 The apartment is located on the sixth floor of a prestigious, discreet building. 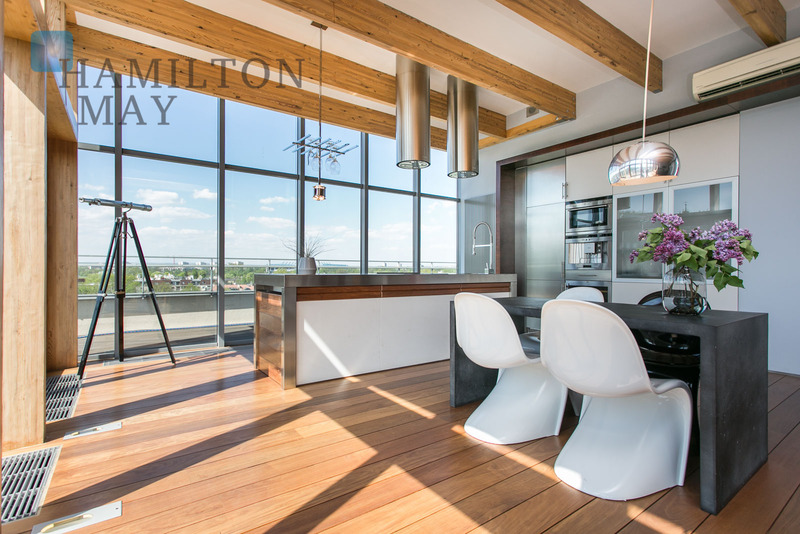 The townhouse features only 12 apartments, and comes with a concierge desk, 24/7 security and monitoring. 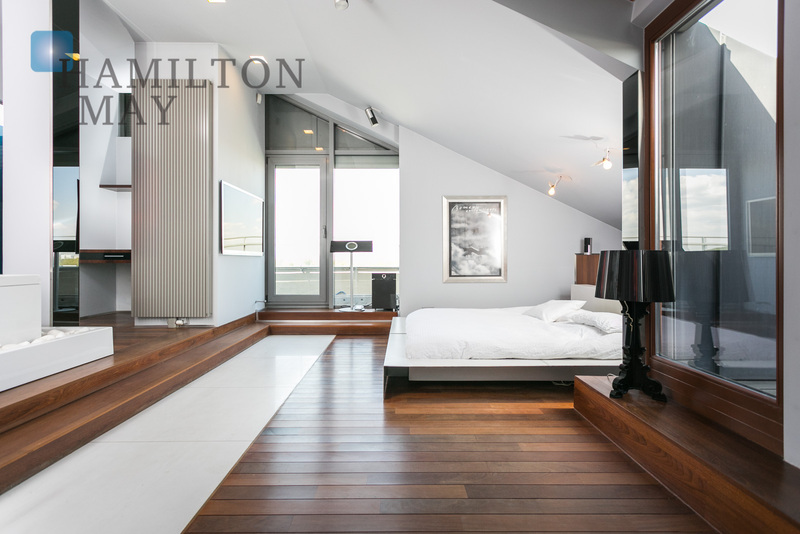 The lift offers direct access to the presented apartment. 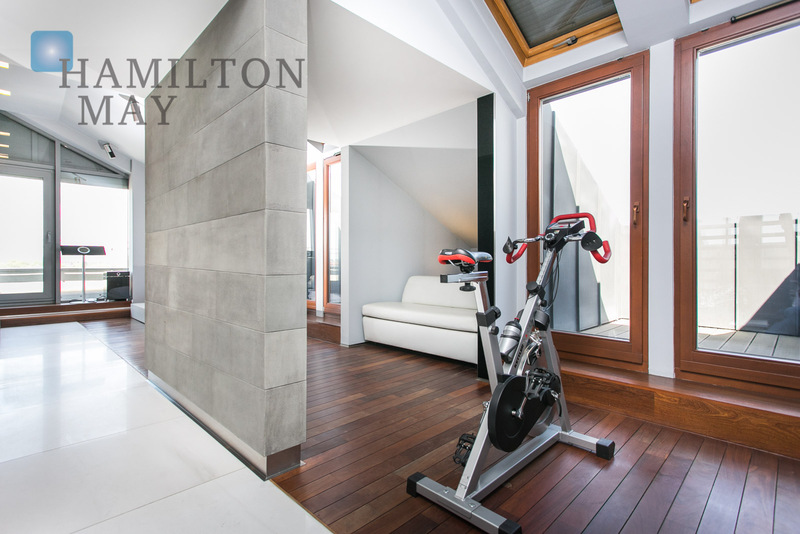 Salwator Residence is a cozy investment located on Emaus street, in the quiet Salwator district. 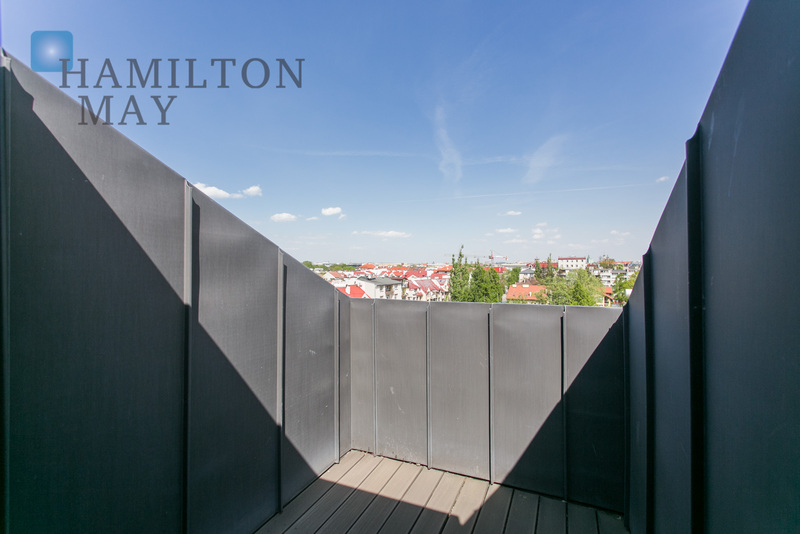 This perfect location offers access to the Vistula River's valley (south), Rudawa River (west) and Świętej Bronisławy Hill, as well as green Błonia and Jordana Park from the north. 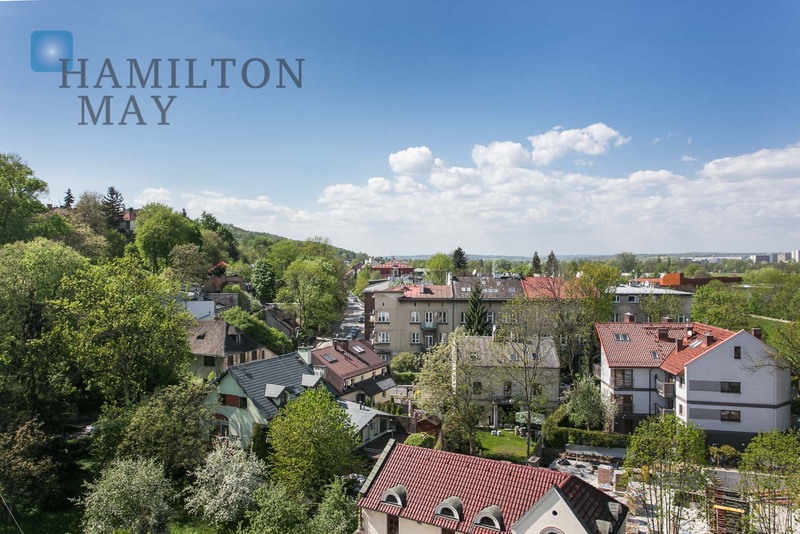 The property lies just a small distance from the Kosciuszko Mound and the Main Market Square (about 20 minutes on foot) with all the attractions the city center has to offer. 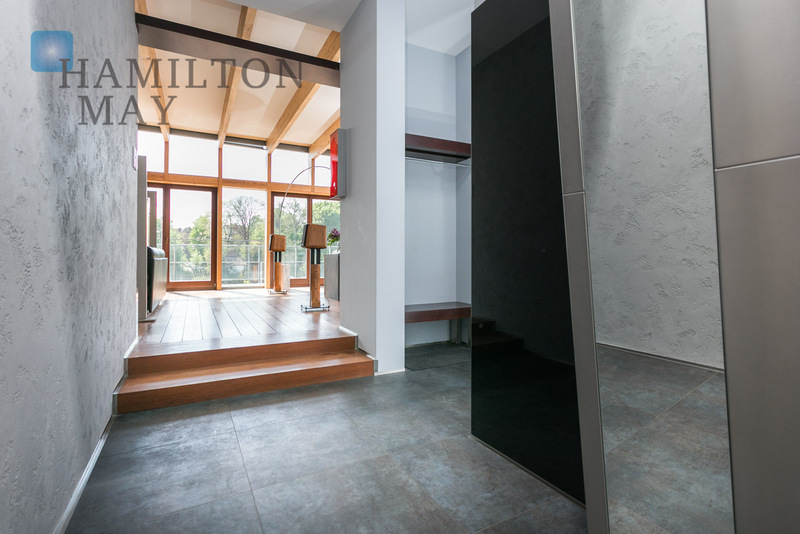 Very good access to the network of public transportation, along with the Balice airport and the A4 motorway.